Videos are becoming popular these days. They tell a more in depth story than photos and I find that it helps clients know what to expect in their session. If you are coming across this blog and are looking for a newborn photographer or are a newborn photographer, this blog is for you! Babies love them! It keeps them calm, comfortable and happy. It also shows off their sweet little features and you can get so many angles and variety. For little boys in the side laying pose, you can add a wrap, bonnet, teddy bear, or even a football. For girls you can use a variety of headbands or a bunny. I find all of my little lovies from Mary’s Knittin’. This video shows the transition from the side laying pose to the bum up pose. Another favorite of mine! Who doesn’t love baby rolls? This pose shows them off perfectly! A few side notes on the video. I wear gloves because my hands are always cold, which usually disrupts the baby’s sleep. The noise is coming from the Baby Shusher, which you buy here. 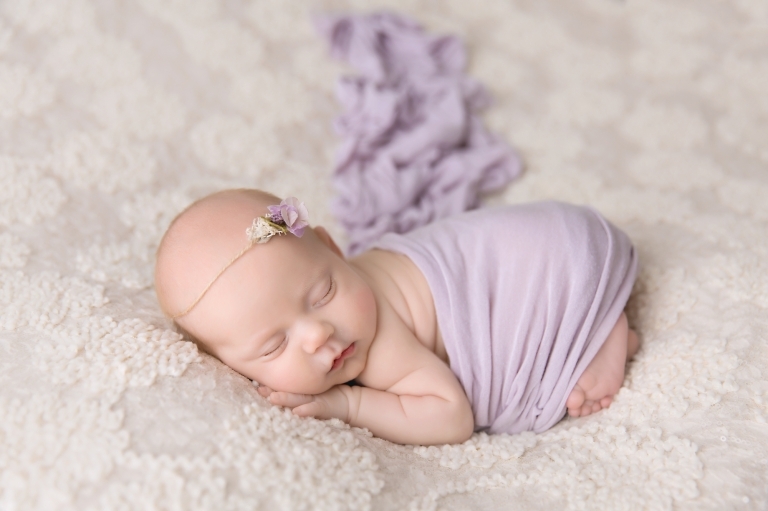 (I use it every newborn photography session, the newborns love it!) 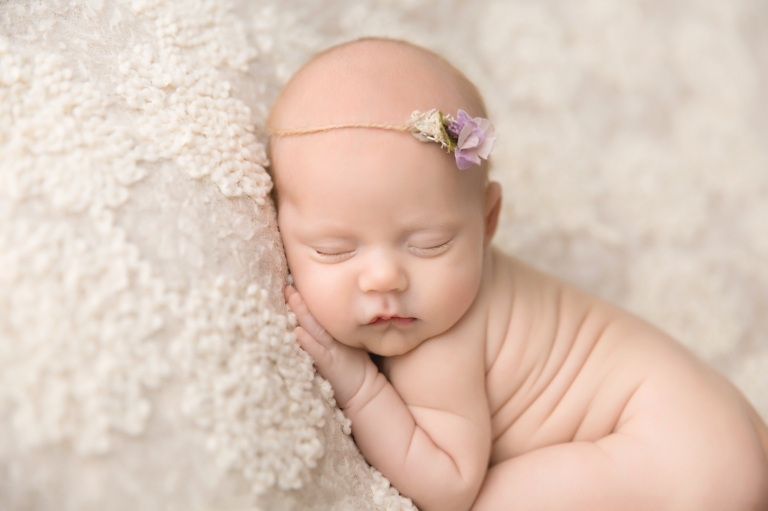 It is also mentionable that you need to follow the baby’s cues and make sure they are comfortable. Never force a baby into a pose! As you can see from the photos below, you can get so much variety with this pose as well! How sweet are those rolls and baby toes? Thank you so much for stopping by the blog! 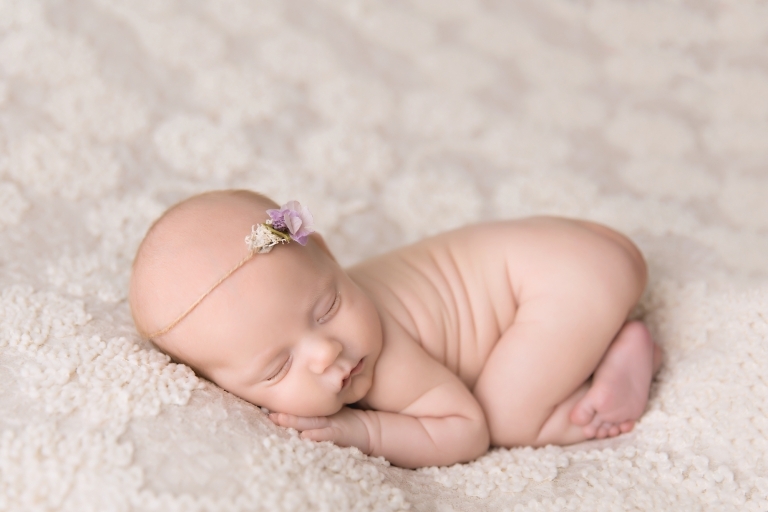 Are you looking for a newborn photographer? Please check out the newborn section of the blog. 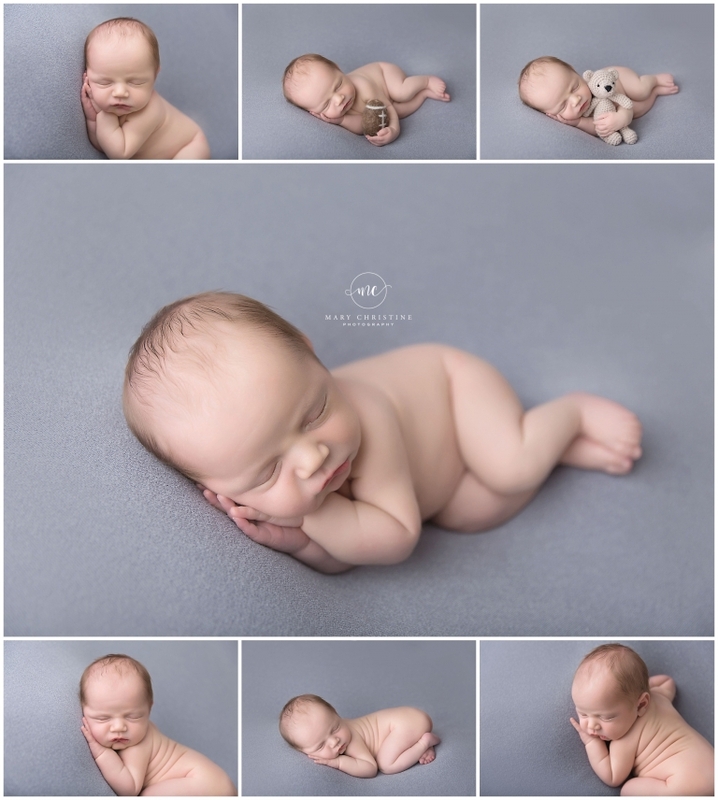 I would love to do a newborn session for you!